In addition, many of these lessons were developed in line with Common Core, Inc.’s thematic units which many school districts use. Click on “Lesson Plans” above to browse and search the lesson plans. You can also explore the lessons by browsing the artwork featured in each set of activities.The lessons use a core set of around 20 images from the Nasher Museum of Art’s permanent collection. Click on “Artwork Gallery” above to browse the artwork. While facilitating discussion, the teacher paraphrases comments neutrally, points at the area being discussed, and links and frames student comments. The teacher does not provide information or their own opinion of the artwork during the discussion. Based on decades of research in visual thinking and aesthetic education, these methods allow learners of all ages to delve into visual art. Through VTS, students practice careful observation, learn to support their statements with evidence, and consider the viewpoints of others—skills that also form the basis of Common Core standards and 21st Century Skills. Don’t have time to add another multi-day lesson to your calendar? Look for the one-day version of the lesson plan. 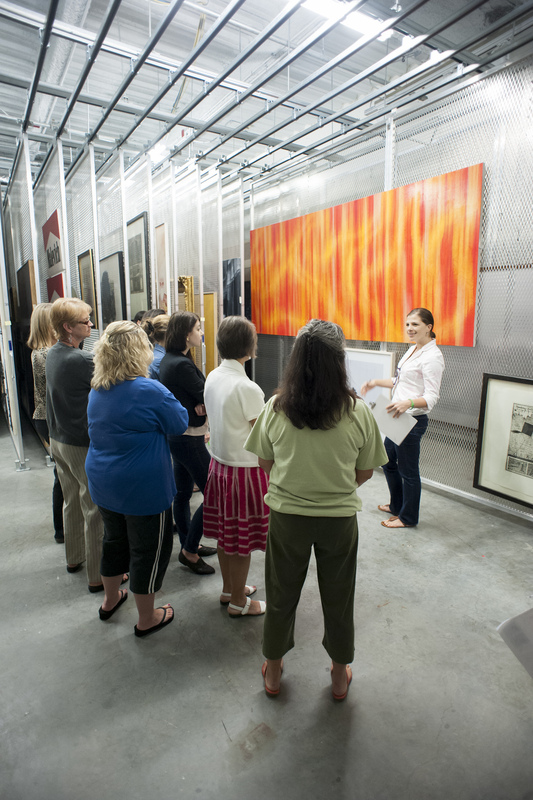 Most of the lesson plans ask you to display or project an image of the artwork being discussed; we recommend showing the artwork directly from this website using a smartboard or digital projector. The lesson plan pages feature quick links for display. All of the visual art lessons have suggested activities for classroom extension; these are designed to bolster the ELA components of the art lessons. How is looking at a work of art like reading a book? Words & Pictures is a project of the Nasher Museum of Art at Duke University in Durham, NC in collaboration with visual art and Kindergarten, 1st and 2nd grade classroom teachers from Durham Public Schools. Together, we have created a collection of high-quality lesson plans to help you bring great art into your classroom while teaching English Language Arts and visual literacy. Built around the Common Core standards, these lessons and activities encourage better reading, writing, looking, and thinking by incorporating multiple modes of learning, encouraging careful observation and supporting statements with evidence, honoring student participation, and celebrating creativity. Created, tried and tested by experienced teachers, these lessons are available to you to view online, download, or print. They include printable materials, suggestions for differentiation and modifications, rubrics for project assessment, and high-quality digital images of works from the Nasher Museum’s collection that are suitable for display in your classroom. Ready to get started? You can browse the lessons by subject, grade, or standards. Words & Pictures is funded in part by the National Endowment for the Arts and the estate of Dorothy Lander, WC’43. The lesson plans on this site were developed and tested during the 2012-2013 school year by a talented team of teachers from Durham Public Schools in collaboration with Nasher Museum education staff and gallery guides. Are you interested in learning more about Words & Pictures?